Lately, it seems as if all the great things from the ’90s are making their comebacks — Lisa Frank, Blink-182, choker necklaces, and of course Pokémon. While Pokémon never really left us (“those who love us never really leave us,” am I right? ), it seems as if the new Pokémon Go craze has taken over by introducing the beloved game to a new audience with the help of smartphones. We are all very aware of the effects that Harry Potter has on Muggle life, but as we see this interactive app clearly gripping the attention of so many people, one can’t help but wonder how Muggle technology would affect the wizarding universe. Would witches and wizards play Pokémon Go? If so, what would that mean? Now, if you’ve been on any type of social media since Pokémon Go‘s launch, you know that there is some serious competition going on, particularly between Team Mystic and Team Valor. This is comparable to the type of competition we see between Gryffindor and Slytherin — all of these groups have similar personalities in the fact that they are adamant on being top dog; Gryffindors and Slytherins are normally portrayed as enemies, as well as those on the Mystic and Valor teams have quickly evolved to be. 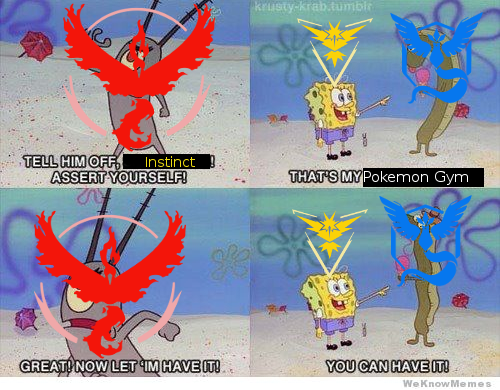 What about Team Instinct? For some reason, this team has been underestimated from the very beginning. Hundreds of memes sprout up everyday, depicting the team’s apparent uselessness. This interpretation of the team as useless just screams “Hufflepuff” — the majority of the world has come to the baseless conclusion that both Instinct and Hufflepuff are pretty much worthless. Why is everyone so quick to underestimate these two groups? Is it because they choose not to thrive on competition, but to be true to themselves instead of always focusing on comparisons? If Team Instinct values trust, then this just gives us another reason why they are similar to Hufflepuffs — Hufflepuffs respect loyalty, and with loyalty, comes trust. Team Mystic values wisdom, a major trait shared with Ravenclaws. It’s also very curious to see that Team Mystic likes to go the scientific route by focusing on evolution – Mystic members want to know why Pokémon are the way they are, which points to an interest in education. Team Valor values power and strength. Unfortunately, we all know that power can be used for both good and evil — a typical Gryffindor-Slytherin debate. On a final note, is it just me, or is it highly suspicious that the Team colors match the House colors? 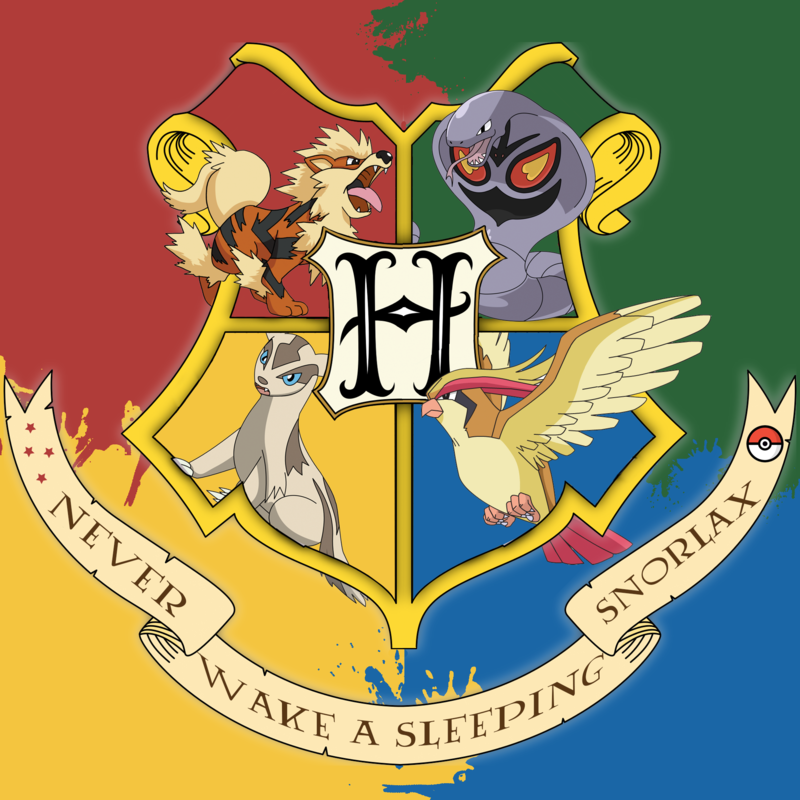 Mystic and Ravenclaw are blue, Instinct and Hufflepuff are yellow, and Gryffindor and Valor are red! I guess unfortunately for us Slytherins, green wasn’t one of the original Pokémon game colors. What’s your take on this idea? Do your House and team match up? Let us know in the comments!